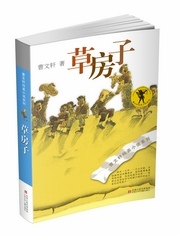 This classic novel depicts the unforgettable years of Sangsang's primary school life, as he witnesses a succession of ordinary but emotional events. This classic novel depicts the unforgettable years of Sangsang's primary school life, as he witnesses a succession of ordinary but emotional events. The story provides a unique insight into the experiences of a boy growing up, including the feelings of pure love and friendship, the pathos of an unfortunate boy struggling for life, the indefatigable pursuit of dignity of a disabled boy, the noble personality of a dying old man, the delightful but complicated feelings between adults. All of these experiences combine to provide Sangsang with the true meaning of life.The novel, with its elegant style and beautiful language, deeply touches the hearts of young readers.